TRUE Caregiver Stories: Have You Been Impacted by Prostate Cancer? 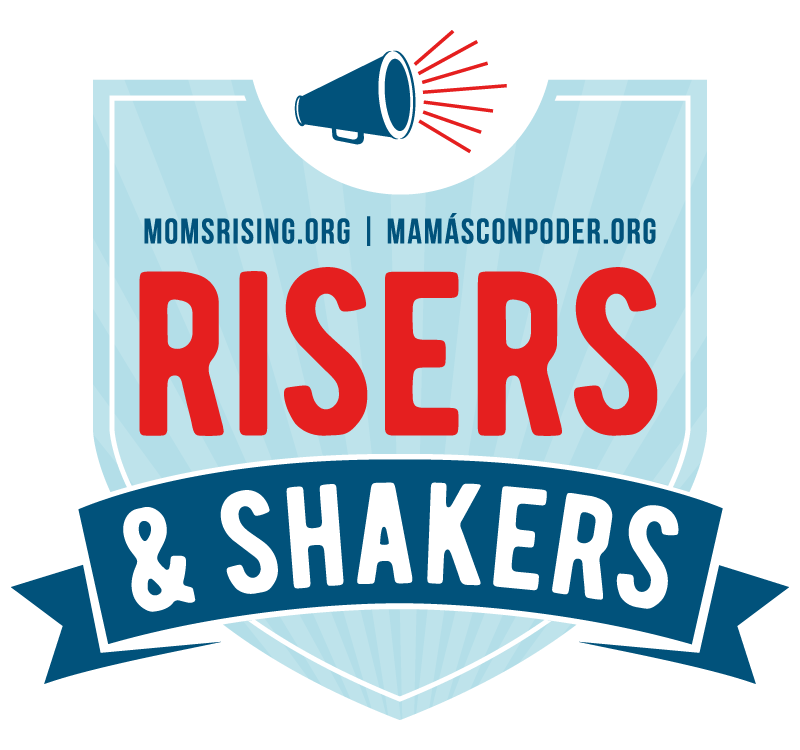 Home » Parenting » TRUE Caregiver Stories: Have You Been Impacted by Prostate Cancer? This is a sponsored post in collaboration with the Prostate Cancer Foundation. Did you know that prostate cancer is the most common non-skin cancer in America? I didn't know that until a few years ago when my father was diagnosed. I've heard a lot about other types of cancers, but prostate cancer was largely a mystery to me. I've since learned that prostate cancer and the many challenges patients and their caregivers face are unknown to the public. This is due to a variety of reasons including the stigma associated with a prostate cancer diagnosis and a general lack of knowledge about the disease. Because of this, prostate cancer caregivers are often unsupported and under acknowledged. 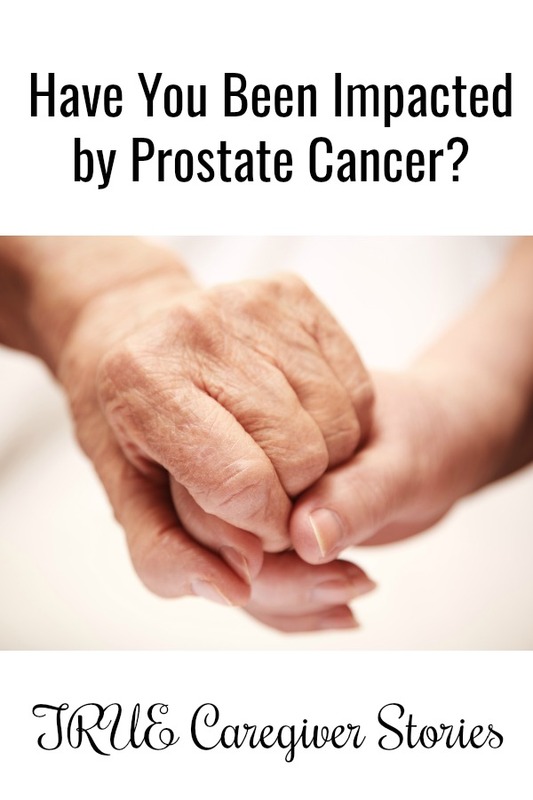 The Prostate Cancer Foundation (PCF) would like to change this by sharing the TRUE inspirational stories of the people who live TRUE love everyday by providing care to men. Part of why I knew so little about prostate cancer was because it didn't seem like it would affect me. I was shocked to learn that within the United States, 1 in 9 men will be diagnosed with prostate cancer in his lifetime. I remember chatting on the phone during the holidays when my dad when he told me. It was supposed to be just another phone call. One of our regular times catching up with each other. I was not prepared, but can anyone really prepare themselves to hear that someone they love has cancer? There was a lot of uncertainty at the time since his was in a later stage when it was detected. I was sad and scared for him, so I began searching online for information and found the Prostate Cancer Foundation. The most important thing I could do at the time was listen to him. I knew I could never completely understand what he was going through, but I tried my best. I listened, checked in on him, and searched for local support groups. When he had surgery, I stayed with him for a week. I took care of things around the house and kept an eye on him. For several months after that, I made regular trips to visit (we lived a few hours away) so I could grocery shop for him. I coordinated a rotating schedule with my sisters to ensure groceries, laundry, dishes, etc. were being taken care of for him. He didn't need me as a long term caregiver, but I know he appreciated the assistance when he needed it. After my father's prostate cancer diagnosis, I felt so strongly about wanting to help that I began donating to the Prostate Cancer Foundation each month. I hope my contributions help their research and thus help others. The Prostate Cancer Foundation would like for you to share how you were personally impacted by prostate cancer and in turn encourage others to share their story on the TRUE campaign's website so that we may honor them and their caregiver during the month of February. One winner will receive a curated care package from Kristen Bell, but all will receive a gift. If it is detected early, prostate cancer is 100% treatable, and most men will not experience any symptoms. I have several men in my life that I care about deeply – my father, my husband, my son, and my father-in-law. I will continue to encourage them to take care of themselves, which includes getting routine health check ups. 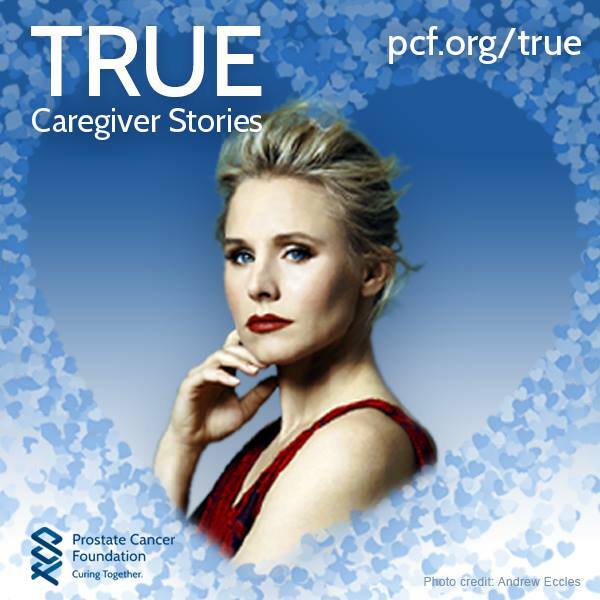 Submit your TRUE love & honor story about those who care for men with prostate cancer for a chance to win a special care package from Kristen Bell. Read all the amazing stories at pcf.org/TRUE.